What is Cosmetic, Sedation and Adult Dentistry? Home › Cosmetic Dentistry › What is Cosmetic, Sedation and Adult Dentistry? Adult dentistry is the practice of treating unique dental conditions experienced by mature adults. A dentist that specializes in adult dentistry is more than a general dentist. Although he or she can perform general dentistry, the specialization in adult dentistry means that the dental professional can treat an abundance of dental problems resulting from aging, illness or medication. A professional in the area of cosmetic dentistry can correct problems that exist as a result of naturally problematic teeth or teeth that have been compromised as a result of age, bad health or medications. Sedation dentistry is a gentle way of treating patients with total care and comfort during dental treatment. Dr. Rotem has been specializing in cosmetic and adult dentistry for nearly two decades in Ocean County, New Jersey. Dr. Rotem is an expert diagnostician and, within the scope of Dr. Rotem’s specialty, you can benefit from the service of sedation dentistry, making each dental treatment experience relaxed and free from stress. Dr Rotem’s caring nature is what brought him to specialize in an area of dentistry that not only improves oral health, but an area of dentistry that can also improve lives. Dr. Rotem understands how important it is for people to feel comfortable and secure with a professional who cares about their overall health, their oral health and their total comfort. With Ocean County dentist, Dr. Ron Rotem, you can relax in comfort through sedation dentistry giving you the opportunity to have more work completed with fewer visits to the dentist. 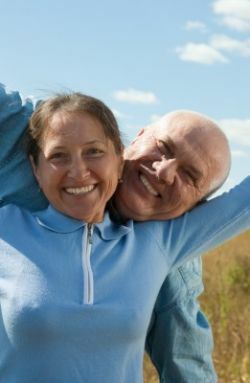 Mature adults know the challenges of getting their teeth to be strong, bright and healthy. Ocean County dentist Dr. Rotem knows how to help mature adults achieve their dream smiles and optimum oral health. Whether you have gum problems, loose or missing teeth, crooked teeth or discolored teeth, Dr. Rotem has a solution for you. Call Dr. Rotem today and begin your experience with an outstanding professional who can guide you through your dental treatment and regimen with care and ease, using the most advanced technology in sedation, cosmetic and adult dental care.